When it comes to aviation training, there aren’t very many practical solutions which you can count on to be there when it’s convenient for you, your pilots, or your airline. Here at CPaT, we saw a need. While in-person aviation training has always been the standard, wouldn’t it be nice if there was a way to go through the necessary programs on your own time? Whether it’s a type rating training, distance learning, or systems integration training, there has always been a void in the industry when it comes to online aviation courses. Until now. At CPaT, we offer the best online aviation courses for pilots, airlines, and other industry professionals around the globe. With multiple platform access available on multiple devices, along with 24/7 customer support and an innovative learning management system, we knew these online-based training programs would be a game-changer. So if you’re looking for online aviation courses which fit your budget, skill level, and needs, then contact the leading aviation training experts at CPaT.com. If you’re interested in learning what sets us apart from the other online training programs available, then keep reading. You’re sure to find all that you need and more. A necessity for any serious pilot or commercial airline, distance learning for type rating training programs are among the bread-and-butter online aviation courses we offer. From Airbus training, to Boeing type rating courses, to ATR recurrent programs, we have it all here at CPaT. Our courses can typically be delivered in either Imperial or Metric, and all of our online courses are mobile-friendly with our Play Ready Technology. Compatible with PC, iOS, iPad, iPhone, Mac, and all Android devices, the pure convenience of these online distance learning and type rating training courses is second to none. Our online aviation courses are second to none, if for no other reason than they have the most innovative and interactive features imaginable. Our computer-based training programs cover the full spectrum of the world’s most powerful and popular aircraft, while our general subjects cover everything from flying at low visibility to the transport of hazardous materials. Our online aviation courses are fully immersive and interactive for pilots of all levels. The interactive diagrams featured in our programs make for an engaging, all-encompassing learning experience for pilots around the world. These diagrams and courseware feature multiple languages in both text and audio, which can not only help pilots learn the systems but also a new language. At CPaT, our mobile online aviation courses are offered both online and offline for select devices, making it easy to take your training on the go. With iOS and Android capabilities, our software is easy to access, navigate, and complete. Our online training programs utilize our innovative Learning Management System, which allows pilots to view their progress, navigate through their account, and even download the necessary materials. 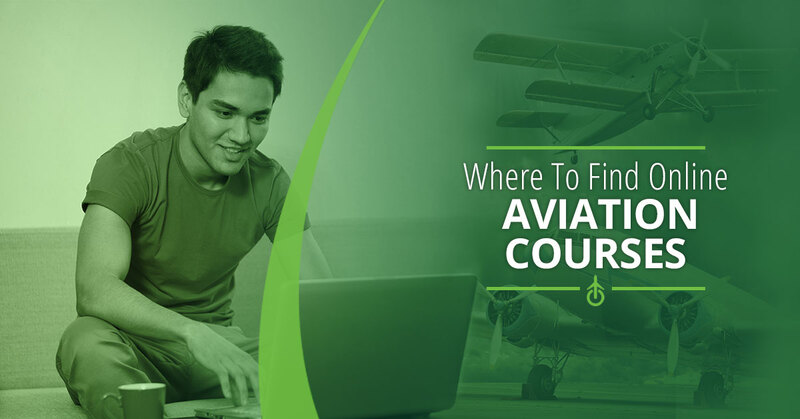 These courses have the capability to be fully customized for your airline’s standards and brand, and you have the ability to configure a healthy learning environment with just a few clicks. So back to the original question — where can you find top-notch online aviation training classes? Well, if you’re looking for a solution that will last through modern era and the future, then look no further than CPaT. You can browse the available aviation training solutions here and discover the computer-based programs that will revolutionize the way your airline views training.